David Bragger is a full-time instructor of old-time music on fiddle, banjo, mandolin and guitar. 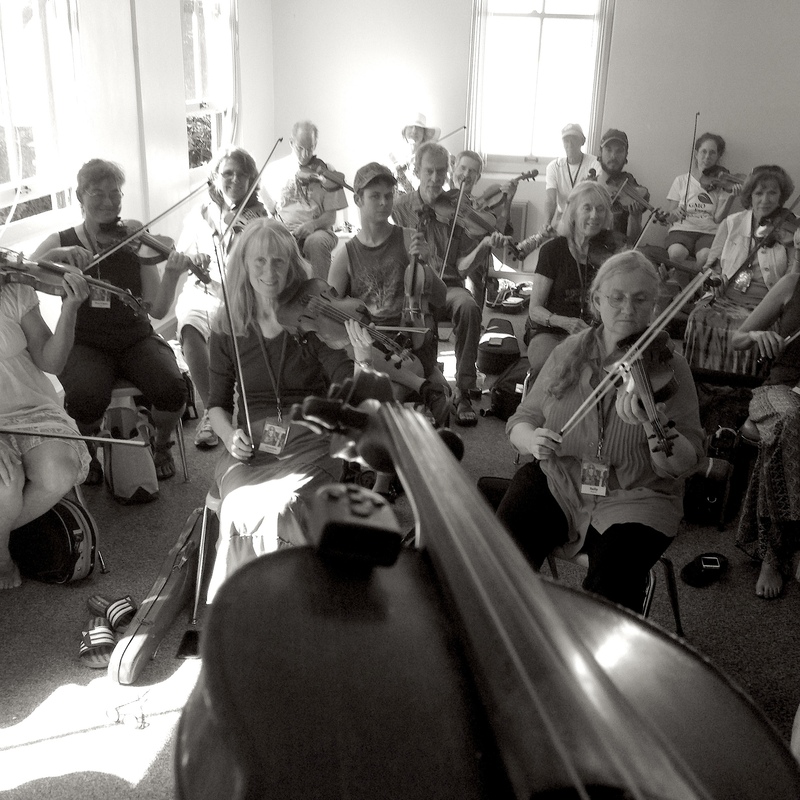 He teaches private lessons in-person and online, as well as workshops at music festivals and camps, including the Los Angeles Old-Time Social, the Festival of American Fiddle Tunes, the Portland Old-Time Music Gathering, the Berkeley Old-Time Music Convention, the Santa Barbara Old-Time Fiddlers’ Convention and the Topanga Banjo & Fiddle Contest. David is the director of the UCLA Old-Time String Band Ensemble. He is also the artistic director of the Santa Barbara Old-Time Fiddlers’ Convention, now in it’s 46th year! David teaches students of all ages and levels. He teaches music by ear, so no musical background is necessary. His students have won awards at festivals from Topanga Fiddle Banjo Festival to Galax, Virginia. Most importantly, he shows you how to have a foot-stomping good time! You’ll be learning technique, bowings, and styles of traditional Appalachian musicians so you can play at local jam sessions, bang away on your front porch, or saw like mad at local festivals and contests. Currently he has students all over the world who are obsessed with getting the “sounds” that we hear in the playing of classic old-time musicians like Tommy Jarrell, Bruce Molsky, Dan Gellert, Edden Hammons, Jim Bowles, French Carpenter, Melvin Wine, Hobart Smith, Wade Ward, Fred Cockerham, Skillet Lickers, and many others. — For lessons and/or questions, contact .